It seems like things move awfully fast in the world of warehouse management at times. New management software, innovations in industrial storage, and changes in staffing procedure can mean times of big adaption and upheaval for your facility, shop, or warehouse. Take a Picture: Ever since the first time someone needed to remember what was in a specific box, digital pictures have come in handy to remember what was in a box, and how it was arranged initially. In a busy warehouse a certain box can get accessed dozens of times a day, and the odds that everything will be put back correctly aren’t in your favor. Take a reference photo of whatever was in a certain box or storage bin and tape it to the front for a quick and easy (not to mention throwback) visual reference for the items within. 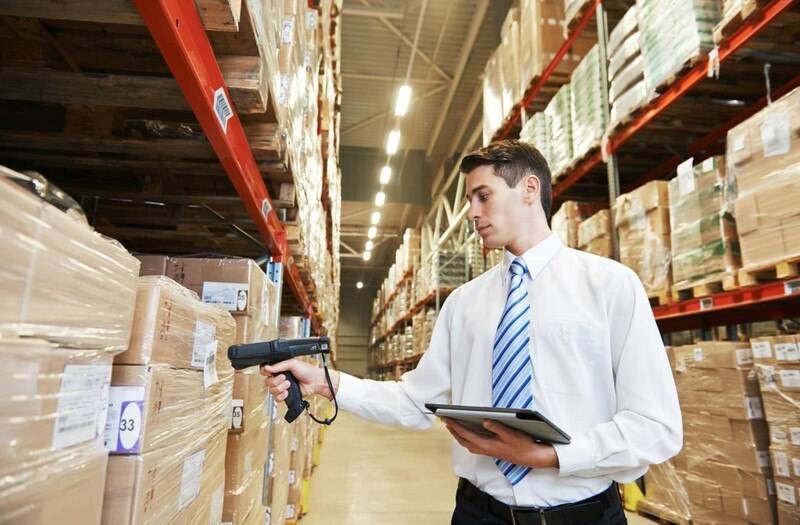 Stick With SKU Tags: No matter what kind of item management tools or inventory control software you have, there’s one thing that has never changed in the world of warehouse management: SKUs and barcodes. SKU tags are accurate, reliable, and greatly reduce the risk of operator error, not to mention being easy to design and print as well. Whatever methods your workers use to track inventory, the tried-and-true barcode is still your best friend. Think Vertical: There’s a lot of different storage options these days. From customizable pallet racks that can be changed to meet your needs to gravity flow racks that allow you to transport items between workstations faster than ever, you’ve got more choices than ever before to store and transport your products and inventory. But sometimes all you need is something vertical – some stackable bins, a place to keep pallets, maybe some good-old wire shelving to hold items. Free up some floor space and think upwards – you might just thank us for it. Hands-On Employee Training: In this world of interconnected software and digital inventory management, it might be tempting to train your new hires on the software they need first. And while this is absolutely an important part of modern warehouse work, there’s nothing that can replace training workers on how to restock product, locate items, and properly pick and transport them. Make sure to start with the basics first so they understand the normal day-to-day operations and methods of your warehouse before moving on to the tricky computer stuff.